To give LIGHT to them that sit in darkness and in the shadow of death, and to guide our feet into the way of PEACE. Oh Christian.. away from the Lord we are overshadowed and swamped by darkness.. overwhelmed by ignorance, impurity, sorrow, grief and utterly sin-soaked. And thus was the world six thousand years ago. Thus was the world two thousand years ago and thus is the world now in this present age: Unconquered sin.. Unenlightened ignorance.. Uncomforted sorrow.. Unexplained despair. 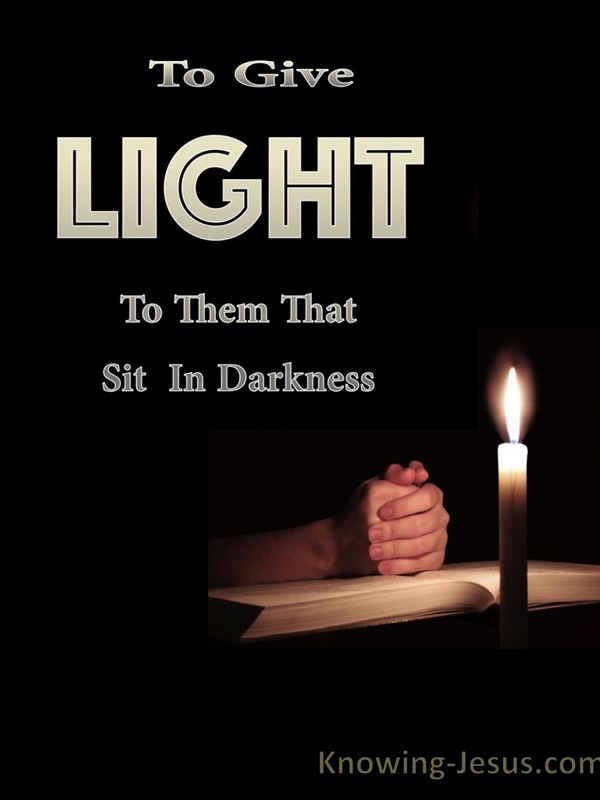 Darkness that strangles the hopes of hearts.. deadness that shuts out so much that is fair and sweet and good and gentle – but Jesus came to give God’s light and He came to guide us into God’s peace. 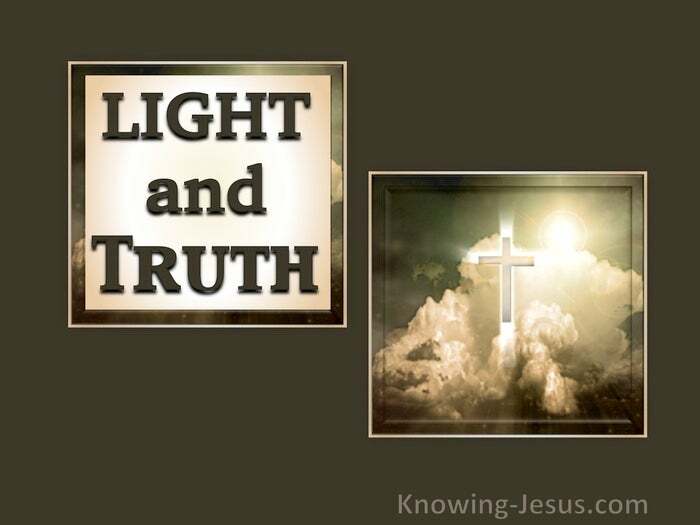 To the saved believers, the light of His life cascades into a darkened soul. A pure, brilliant Light that first rejoices the heart, but discomforts the conscience.. for His pure light distresses the eyes at first, but its soothing balm will heal the pain and cure the wounds. His brilliant glory and righteousness exposes our wretchedness.. but satisfies our need. The darkness of sorrow won’t cease, but His light will calm the troubled breast. His peace will bring our grieving spirits into quiet submission as we rest in Him. When we truly and unreservedly put our helpless hand into His – He fills us with light. When we wholeheartedly admit our own powerlessness – He dispenses His peace. Take the hand of the One that knows how to lighten those that sit in darkness. Walk with the One Who will truly guide your feet into the way of peace, and you will have contentment in this age despite the hardships and disappointments – and in the age to come – the Millennial Age, you will discover joys unspeakable, for you will live 1000 years, in time – time recaptured from the today’s devouring locusts. Only put your hand into His and say:- order my walk; order my every moment… order my way and my life to your good pleasure – for whither Thou goest I will go. What you decide I will accept.What you command I will do. SEE… I have inscribed you on the palms of My hands, you are continually before Me.